Treaty of the Holston Park | Just Shooting Memories! 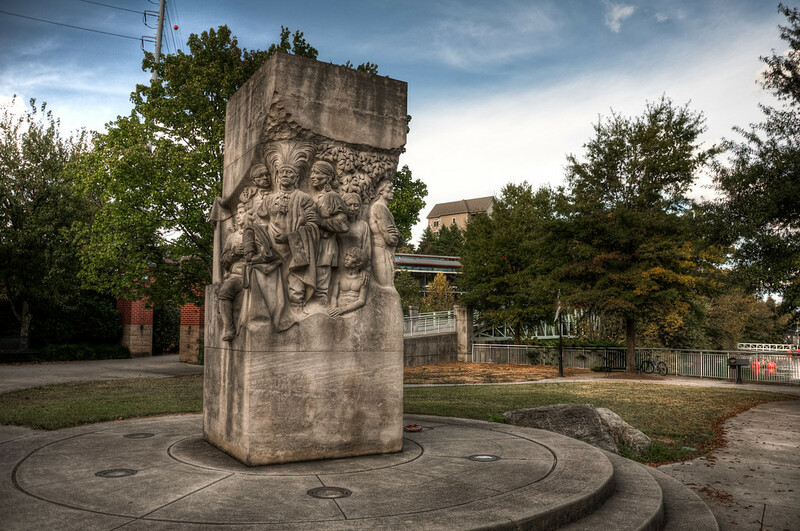 One of the first places I visited in Knoxville was the Treaty of the Holston Park. Now, it is not big and I only visited there first because it was along the path I planned to take. However, I did find this statue of the Signing of the Treaty of the Holston. I thought it was neat to find this graphical depiction of the early days of Tennessee.